Kyle Burge’s story is about coffee beans and dreams. 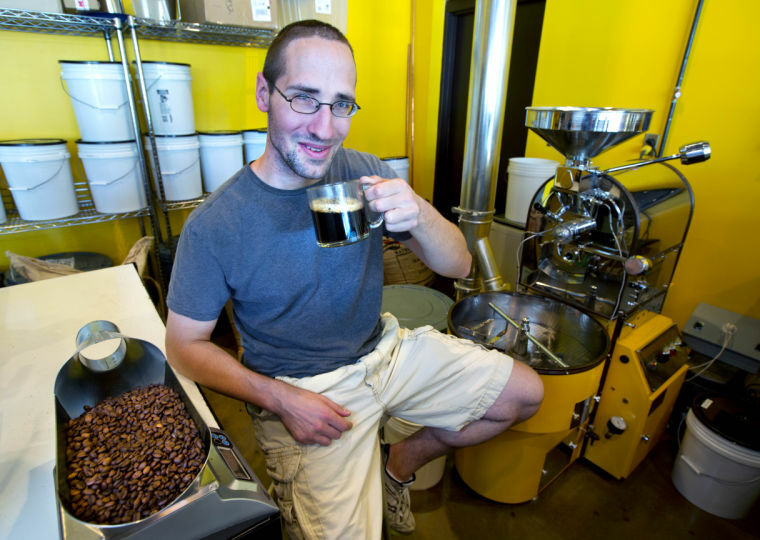 On Black Friday 2011, at the age of 23, Burge opened Beans Boro Coffeehouse and Roastery at the corner of Horse Pen Creek and New Garden roads. The shop had been a dream of his since age 16 when he first began drinking coffee and exploring the variety of its flavors. From the first sip, coffee became Burge’s hobby and passion. After graduating from high school in Kernersville and completing a two-year stint at GTCC studying recording engineering, Burge began doing his homework to fulfill his dream of opening his own coffee shop and wholesale roasting operation. To make it happen, he saved money, created a business plan and became an expert in the coffee industry and trade. This entry was posted in You Should Eat Here! on September 18, 2013 by triadfoodies.